Basketball is available at the Pukerua Bay School. To be completed; if you know more, please email us. 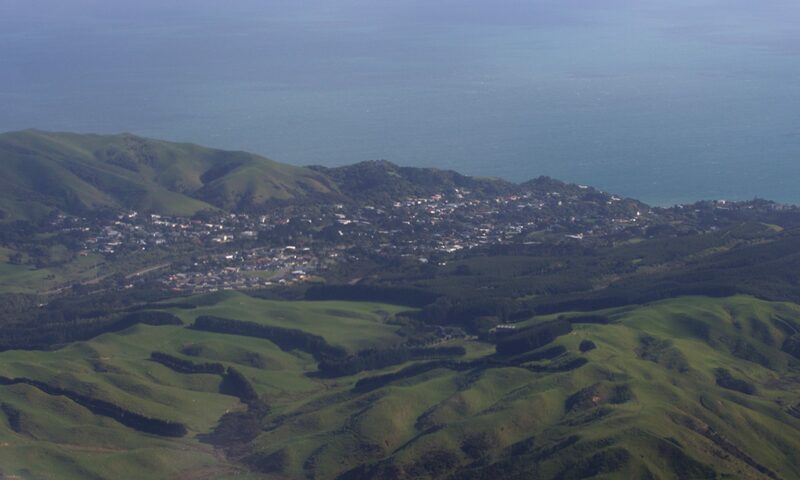 Coastal Quilters covers the area from Newlands to Waikanae, including Pukerua Bay – about 7-9 members out of 110 are presently living in Pukerua Bay. Doors open to members and visitors at 1.15 pm, meetings usually end around 3.30 pm to 4.00 pm. Annual membership fee: $25 to be paid in June. Extensive library of quilting books and magazines, approx. 1,000 items at last count. Programmes have speakers, demonstrations, work days, Christmas Party, etc. Quilting classes held throughout the year for various abilities with local, NZ and occasionally international tutors. For more information contact Marge Hurst. Come along on Monday nights, 7.30 pm – 8.45 pm at St. Mark’s Church, opposite the school. Singers. No auditions. No experience necessary. Bring a gold coin. Age 10 years to 100 years (10-14 years must be accompanied by an adult). For more information, phone Rachel on 239 8466. We hope you will join us! The local scout hall is located at the end of Kotipu Place, next to the Greenmeadows Reserve. if you know more, please email us. The Pukerua Bay Trading page is a free online marketplace for Pukerua Bay residents with Facebook accounts, set up by former resident Tia Beaufort. It is intended as a useful, free online tool for locals to publicise the services they offer and/or buy & sell goods. Membership is strictly for Pukerua Bay residents only, the page is also a great place to publicise local events and encourage residents to get to know one another. To join, go to the page and add yourself, and wait for the page administrator to confirm you are a Pukerua Bay resident. The Pukerua Bay Folk Club meets on the first Thursday each month at 8.00 pm at 9 Donlin Road. Wednesday nights 7.00 pm – 9.00 pm. At Pukerua Bay School Hall, $5 per night – partners not needed but are very welcome! The Lions Club of Pukerua Bay and Paekakariki was chartered in 1972. To be completed – if you know more, please email us. The Pukerua Bay School participates in the Porirua region’s netball groups with teams from Year 5 to Year 8. Practice is usually at school, and games against teams from other schools in the greater Porirua area are played on Saturdays at the Ngati Toa netball courts at the Ngati Toa Domain in Mana. The organisation is entirely run by volunteers from the schools participating – from the organising committee, to the coaches, umpires and timekeepers. If you are interested in participating or helping, please get in touch at the Pukerua Bay School. Nga Uruora – Kapiti Project Inc.
Nga Uruora is a not-for-profit voluntary organisation on the Kapiti Coast of New Zealand, focusing on the coastal escarpment between Pukerua Bay and Paekakariki and other conservation projects. Its vision is to link the conservation successes on Kapiti and Mana Islands to the mainland coast, to create a ribbon of native forest to bring back the native birds that used to sing in our trees. The Pukerua Bay community has a well-attended playgroup which caters for children from birth until around 4 years of age. It provides the opportunity for parents and their children to meet in a relaxed atmosphere and enjoy crafts, singing, baking, indoor and outdoor activities, a large variety of toys as well as morning tea. There is no waiting list, everybody is welcome, just bring a piece of fruit for a shared morning tea. The playgroup is on Monday mornings from 9.15 am – 11.45 am during school terms at the Tennis Club rooms near the corner of Rawhiti Road and Taihana Road West. The Pukerua Bay Returned Services Asssociation originated in the Plimmerton Branch of the Wellington RSA, which included Pukerua Bay until the end of World War II. A separate section was formed in response to the growth of the population of Pukerua Bay up to the 1950s. The clubrooms of the local association are at 5 Wairaka Road. Visitors are welcome – the opening hours are 4.00 pm – 7.00 pm Wed, 4.00 pm – 10.00 pm Thu – Sat. The Pukerua Bay Soccer Club takes junior players from age 6 to 14. We have a keen, supportive group of parents, and welcome any child from the local area who wants to play. Practices are at the Pukerua Bay School or at Greenmeadows Park. More information is at www.pukeruabaysoccer.org.nz, email pkb@pukeruabaysoccer.org.nz or phone Iain on 239 9237. The weekly service at St. Mark’s Anglican Church in Rawhiti Road is at 11.00 am. This includes the special family service every 4th Sunday of the month at 9.30 am, called “Awesome Church” (known for fun, faith and food). That Sunday each month there is also a traditional Choral Evensong at 7.00 pm with the Parish Choir. The St. Mark’s Friendship Group meets in St. Mark’s Lounge, Rawhiti Road, opposite the school. The Tennis Club is the oldest sporting organisation in Pukerua Bay, having operated for about 75 years. It uses the three sealed tennis courts located on the corner of Rawhiti Road and Taihana Road West. The tennis courts are publicly available and can be used by anyone free of charge unless booked or in use by the club. The club building can be rented for community events or parties. The Tennis Club has around 50-60 members and is affiliated with the Wellington Tennis Central Association – new members are always welcome. Weekend Interclub available for all levels summer and winter. The club offers a family-focused small club atmosphere where you can confidently learn to play tennis with current members helping in every way possible. We have a superb facility, three hard courts with professional lighting system for night tennis. Our fees are very competitive and cover the full calendar year. We have social club play, social, serious and regional interclub available. Contact Debbie Quennell on 239 9372, 027 336 1700, or debcue@xtra.co.nz. Toy library is held at the Tennis Club rooms in Rawhiti Road every Monday evening (except Christmas holidays) from 7.30pm – 8.30pm. It provides an opportunity to hire toys and educational games for your children, catch up with friends for coffee and meet other parents from the neibourghood. All items are $3 or less for two weeks rental, which includes a great selection of toys, games, costumes and puzzles for infants to seven years (mainly pre-schoolers). Membership fees range from $12 to $36 depending on the type of membership. For more information, please email pkbtoylibrary@gmail.com or visit our Facebook page.